Kris Wilkes made Jumper. Assisted by Thomas Welsh. Gyorgy Goloman made Three Point Jumper. Assisted by Kris Wilkes. Chris Smith made Three Point Jumper. Assisted by Alex Olesinski. Thomas Welsh made Two Point Tip Shot. Kris Wilkes made Dunk. Assisted by Jaylen Hands. Allonzo Trier missed Three Point Jumper. Deandre Ayton made Three Point Jumper. Emmanuel Akot missed Three Point Jumper. Allonzo Trier made Three Point Jumper. Assisted by Deandre Ayton. Allonzo Trier made Three Point Jumper. Deandre Ayton made Dunk. Assisted by Parker Jackson-Cartwright. Deandre Ayton made Jumper. Assisted by Parker Jackson-Cartwright. 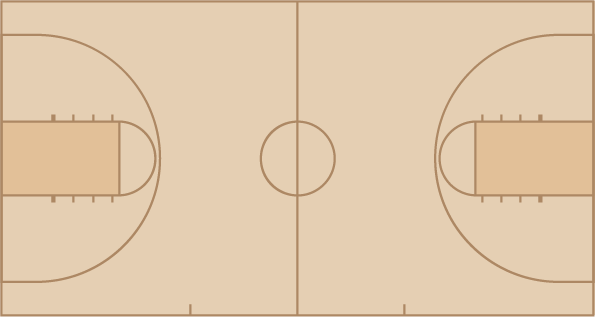 Parker Jackson-Cartwright made Three Point Jumper. Assisted by Allonzo Trier. Deandre Ayton made Layup. Assisted by Dusan Ristic.